FULLERTON, CA. 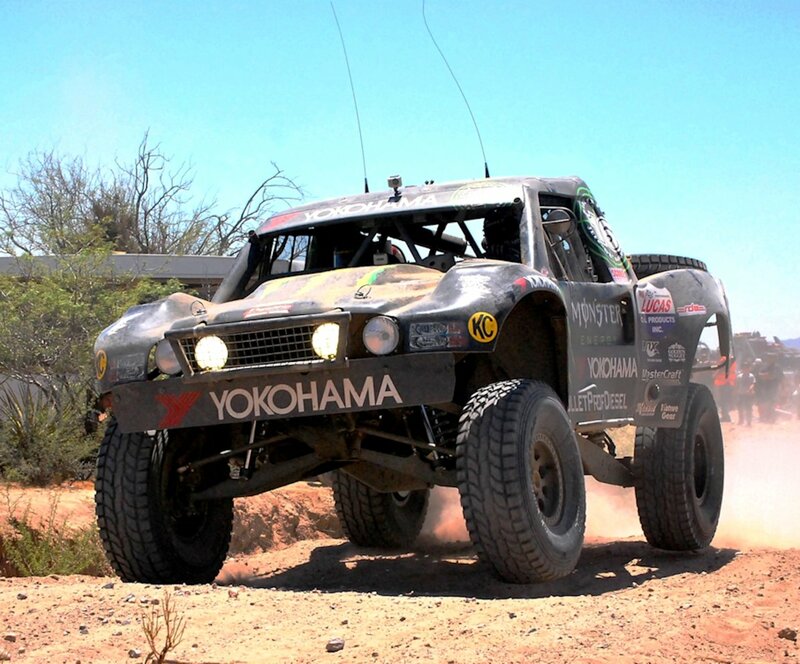 – (Aug. 14, 2012) – Yokohama Tire Corporation-sponsored Cameron and Heidi Steele – the husband and wife team known as “off-road racing’s power couple” – will be back in action at the Best in the Desert’s 534-mile “Vegas to Reno” race, August 16-18. Cameron and Heidi will tackle “the longest off-road race in the U.S.” on Geolandar® tires. Heidi, whose five off-road season championships include a 2008 Best in the Desert title, will be competing in her second race this year after becoming a mother in March. She placed second in June’s Baja 500 in a Ford Ranger equipped with off-the-shelf Geolandar M/T+® tires. She’ll be competing on the same tires in the 7200 Class at the Vegas to Reno contest. Cameron, a Trophy Truck veteran and two-time SCORE Person of the Year, will be in an 800-horsepower Geiser Brothers truck fitted with newly-developed 40-inch Yokohama Geolandar A/T-S® R tires in the Trick Truck Class at the Nevada race.